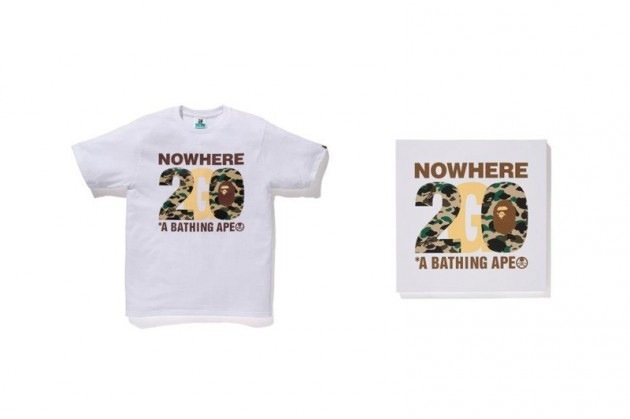 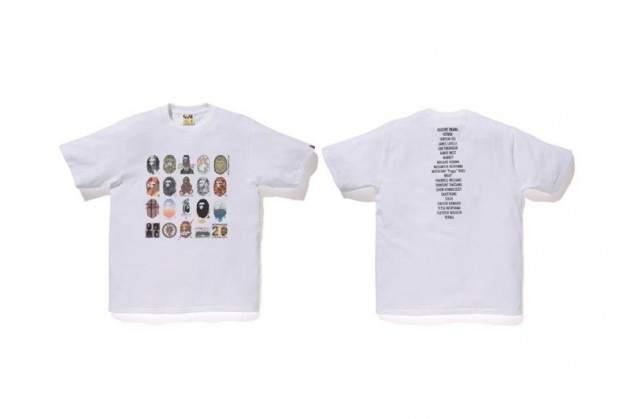 After presenting a teaser of the 20th Anniversary Nowhere/A BATHING APE collection, we’re now able to take a first look at each piece featuring pieces done in collaboration with Kanye West and Pharrell among many others. 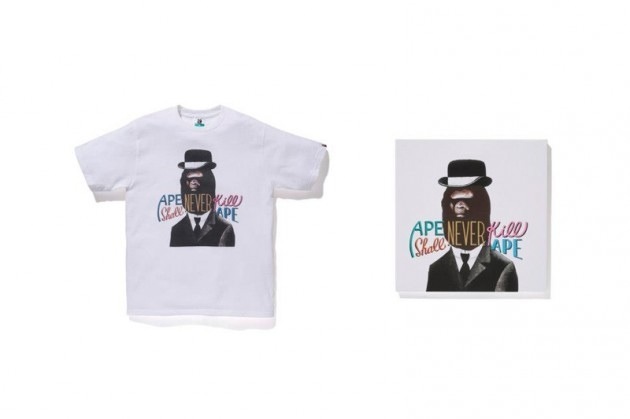 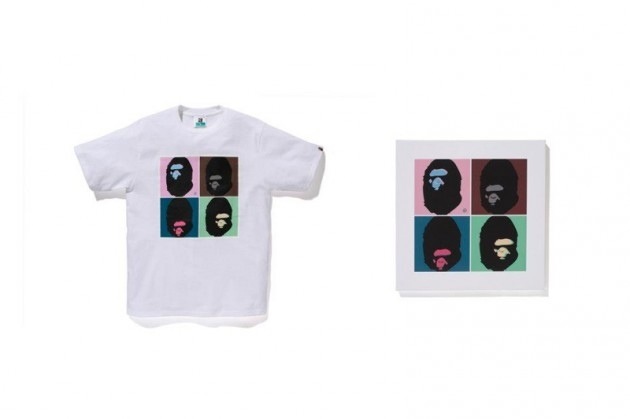 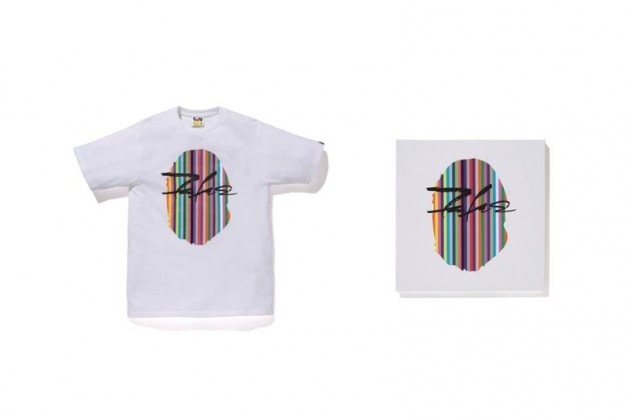 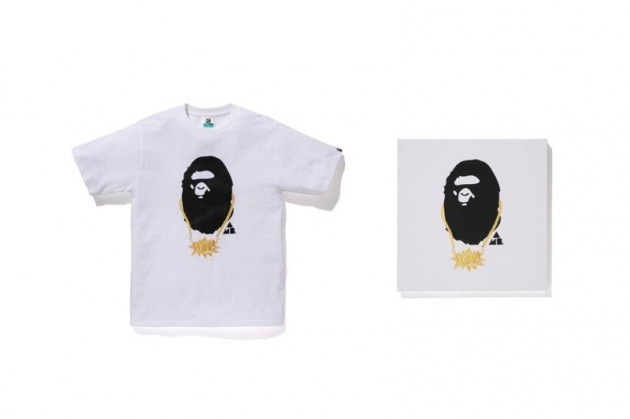 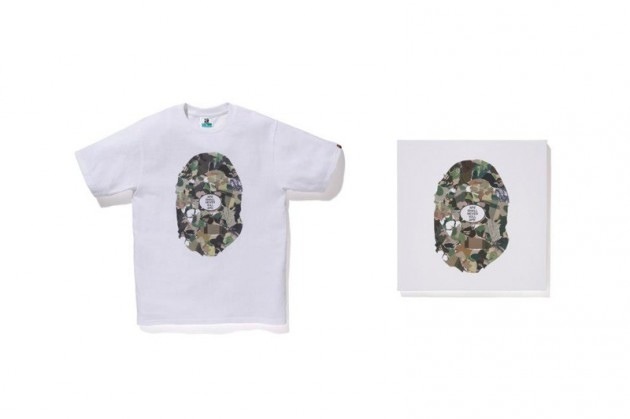 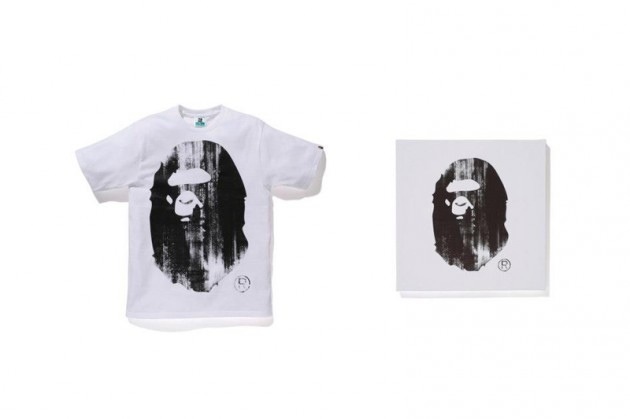 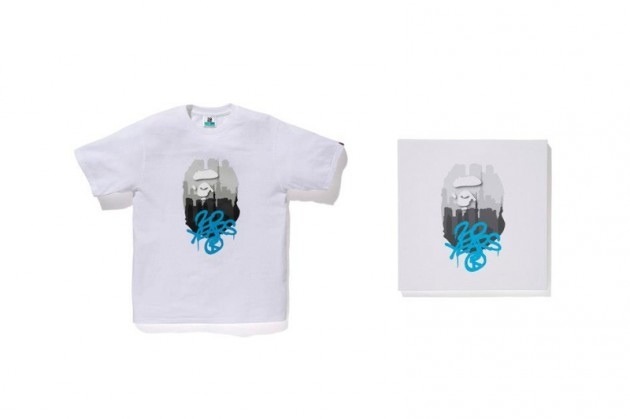 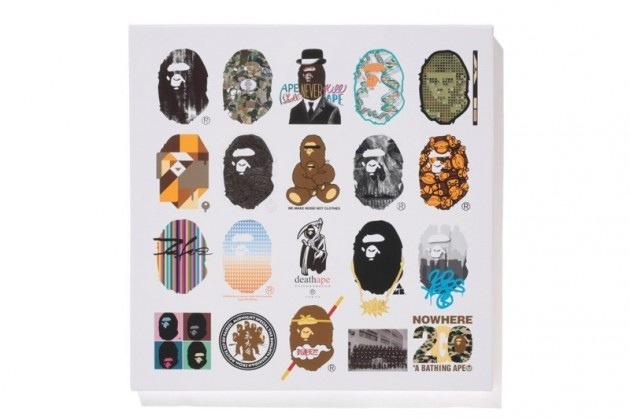 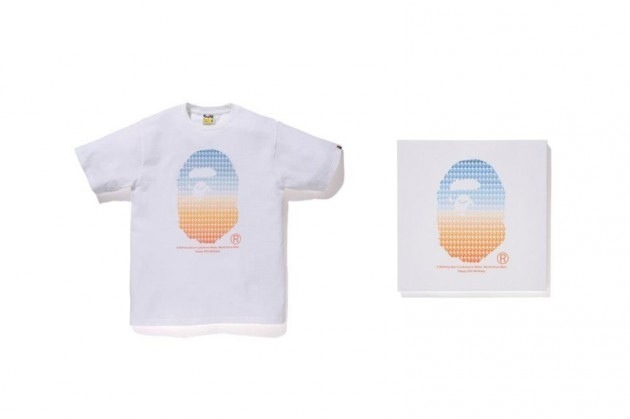 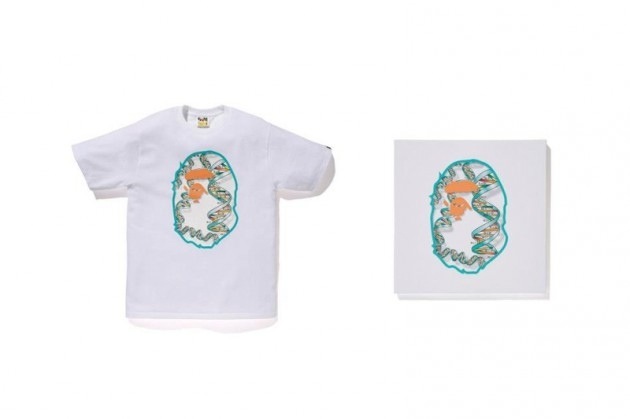 In total, 20 international artists were chosen to design a special APE Head T-shirt and canvas. 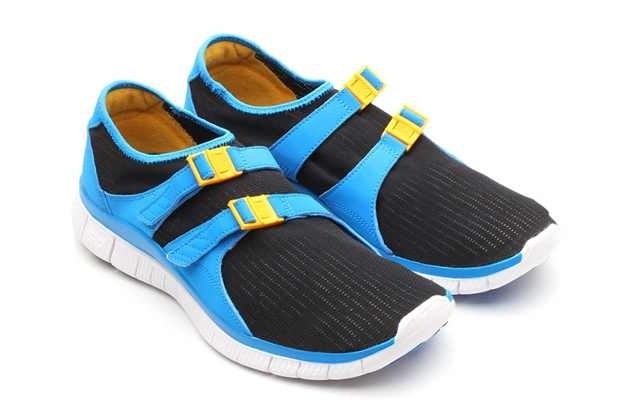 One of Nike‘s most minimal silhouettes, the Free Sockracer, is now available in a new Black/University Gold-Photo Blue colorway for spring. 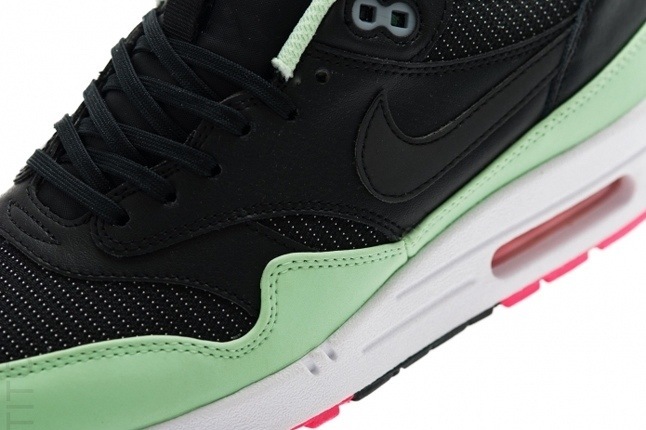 The now 28-year-old silhouette gets some fresh life thanks to the Black and Photo Blue mesh sock upper and the University Gold buckles. 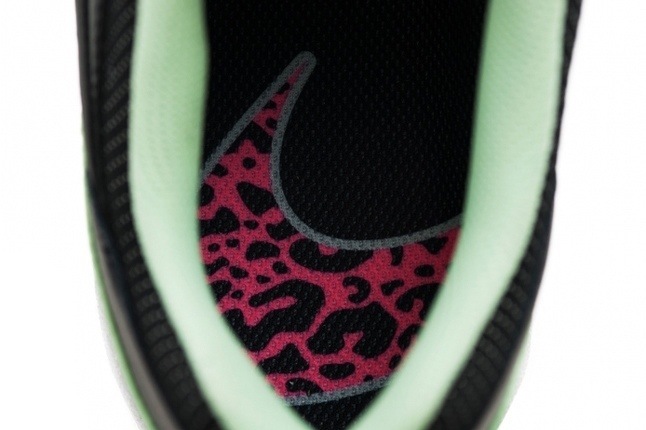 The white Nike Free 5.0 sole updates the classic silhouette while still keeping the spartan character with the shoe. 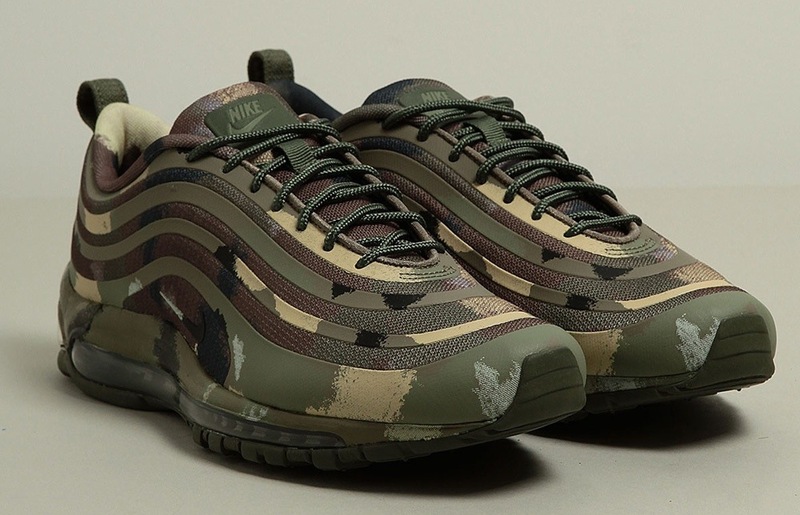 Designated with Nike’s SP suffix, which stands for Special Projects, the Swoosh has just released this limited run Air Max 97. 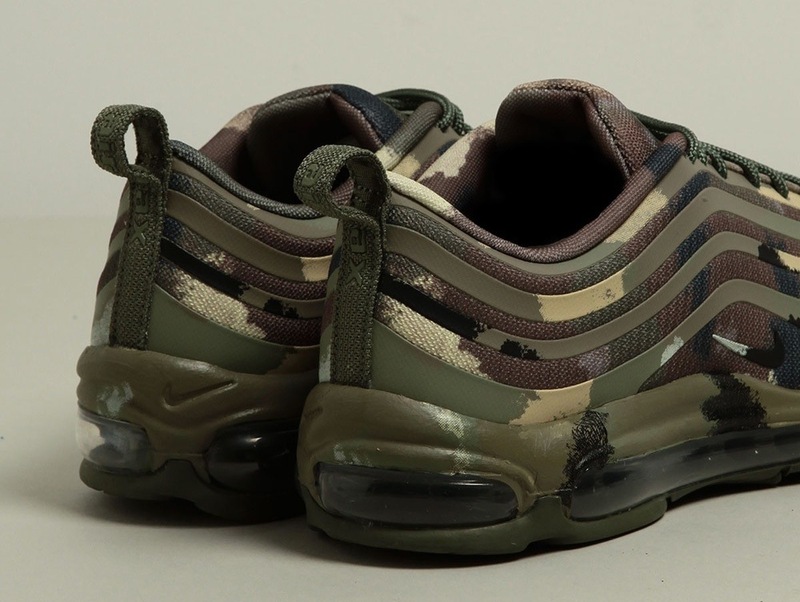 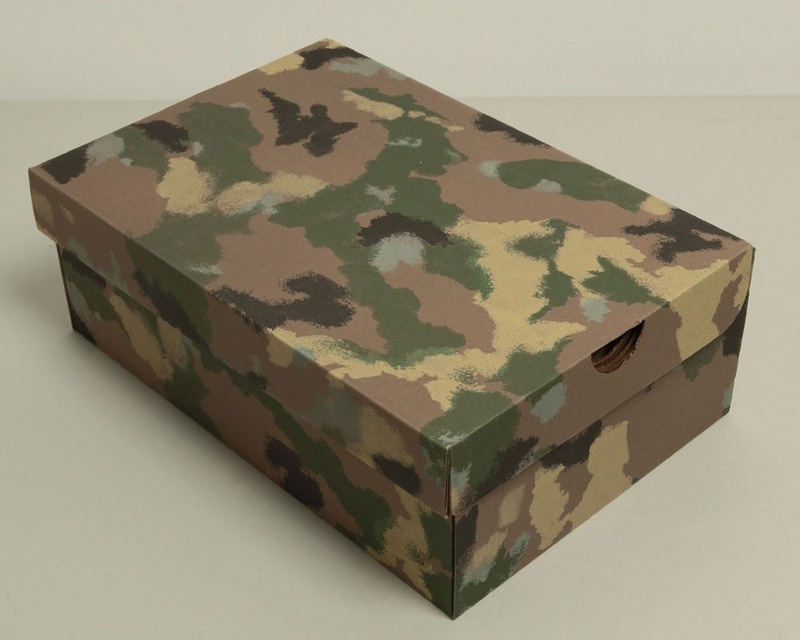 The kicks don a camo adorned upper (extending to the midsole and even the box), which being labeled as “Italian Camouflage” in dark khaki and golden tussah khaki. 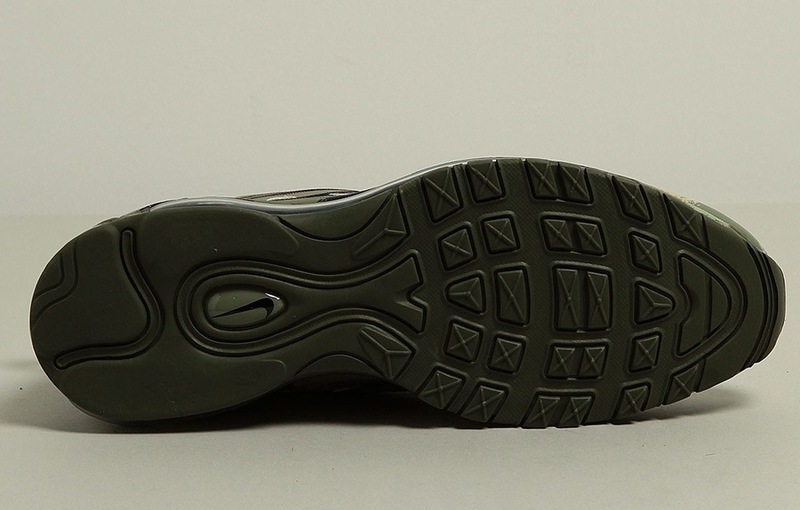 Solidifying its Italian inspiration, the Italian flag is placed on the insole. 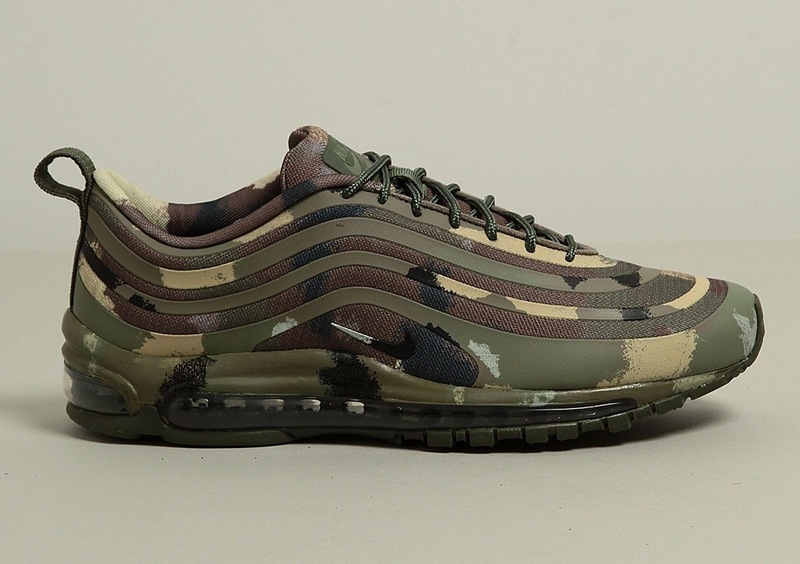 Tracking down a pair may prove difficult as they just landed at Milan based Slam Jam as an “exclusive Quickstrike” with no pairs remaining available online. 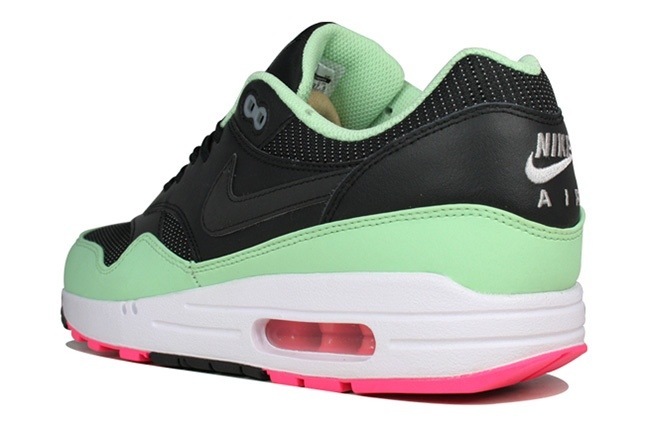 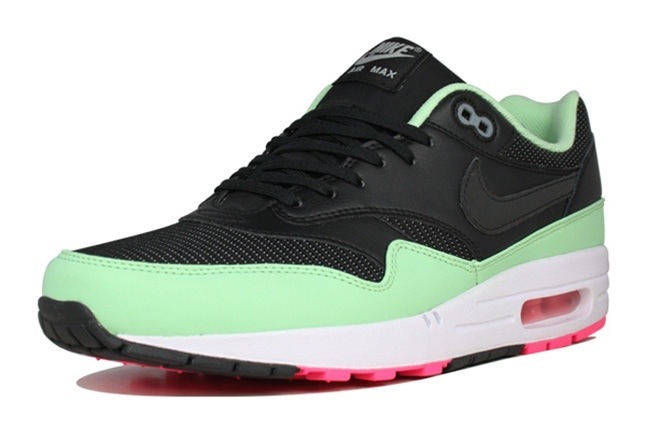 We will keep you posted if these ever release beyond Slam Jam. 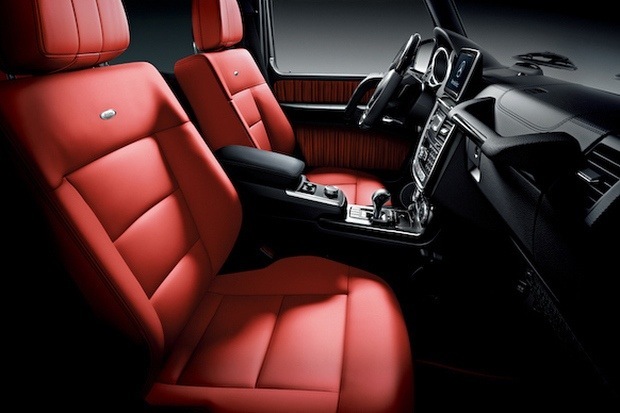 Here is a look at a limited edition release of the Mercedes-Benz G550 dubbed “Night Edition.” The special design of the four-wheel-drive SUV is exclusive to the Japanese market and features an obsidian black exterior along with twin 5-spoke 18-inch alloy wheels with the choice of either Porcelain or Classic Red for the luxurious leather interior. 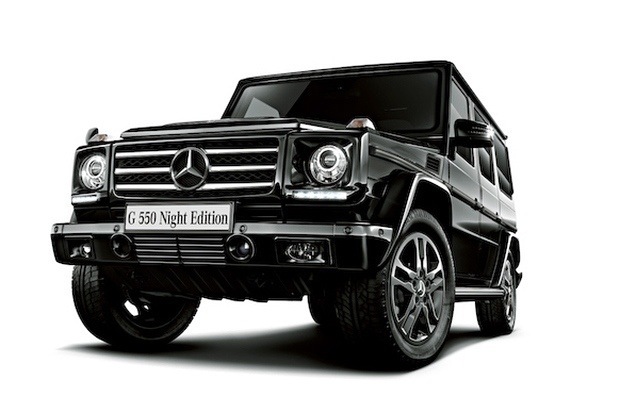 With only 100 pieces in production the G550 “Night Edition” will be available from Roppongi’s Mercedes-Benz Connection from April 22. 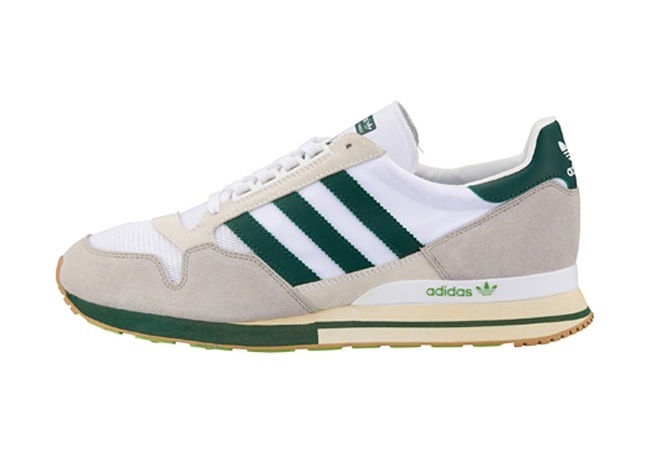 Adidas Originals recently released the ZX 500 in an original colourway of the 1986 era runner. 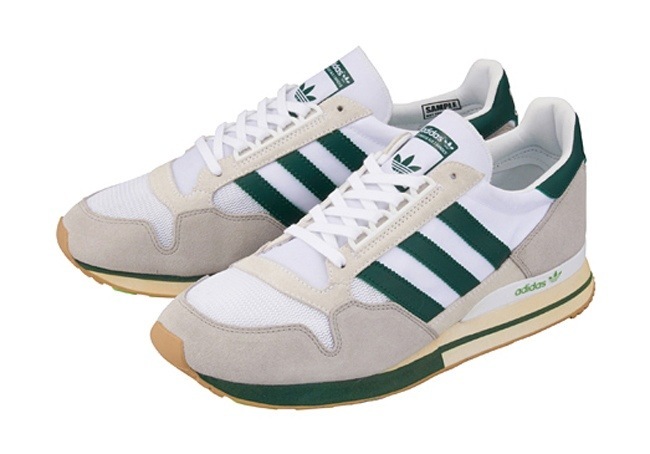 Next up for the sneaker is a United Arrows exclusive release, accented with green in white and grey. 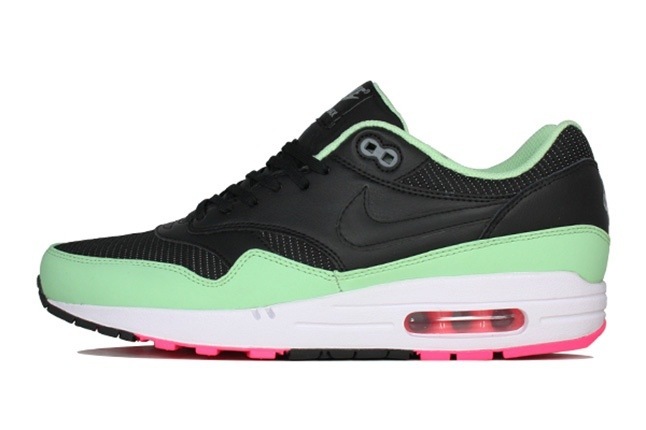 A release date is for the 2nd of May. 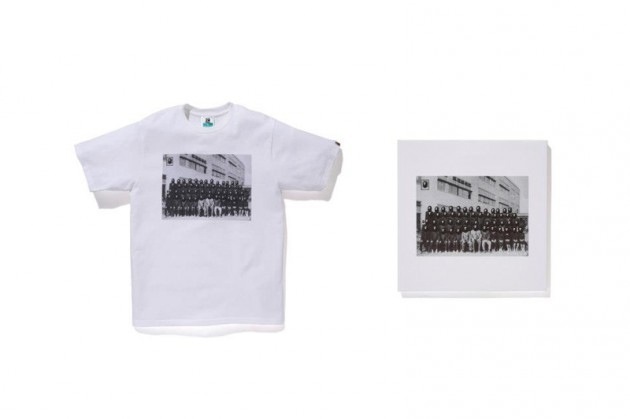 DQM and Vans represent New York City with their latest collaboration. 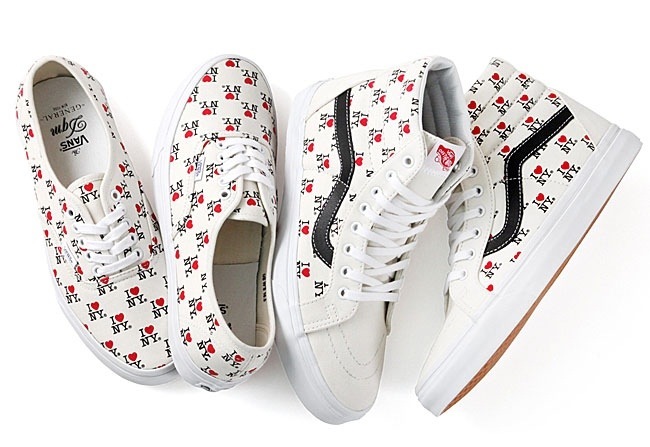 The effort results in the Authentic and Sk8-Hi fitted in white canvas adorned with an “I Love NY” all over print. 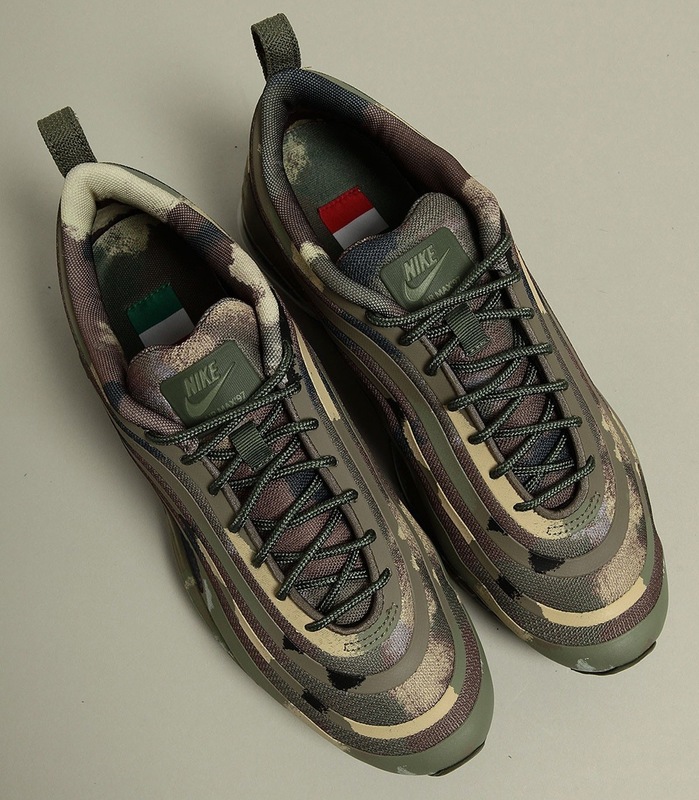 The kicks are exclusive to DQM but you don’t have to be in NY to grab a pair as they will release in-shop and online on the 19th of April.